13th Game Prize Fair is helding at Makuhari Messe in Chiba on 18 to 20 September. The following photo is assembly two posing figures, size 16 cm, game prize. 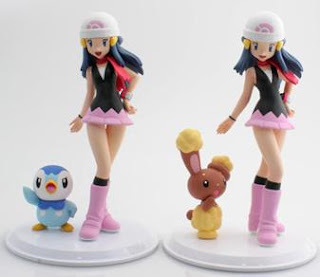 As for other Dawn's figure, please refer to previous article Pokemon Partners.